Sella webcam. Weather records from the village of Sella. 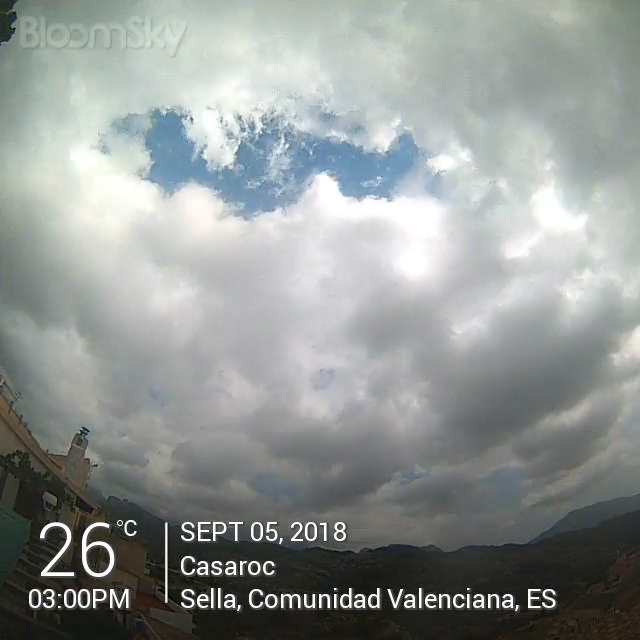 Sella webcam is live here and there’s also a library of daily timelapse images. 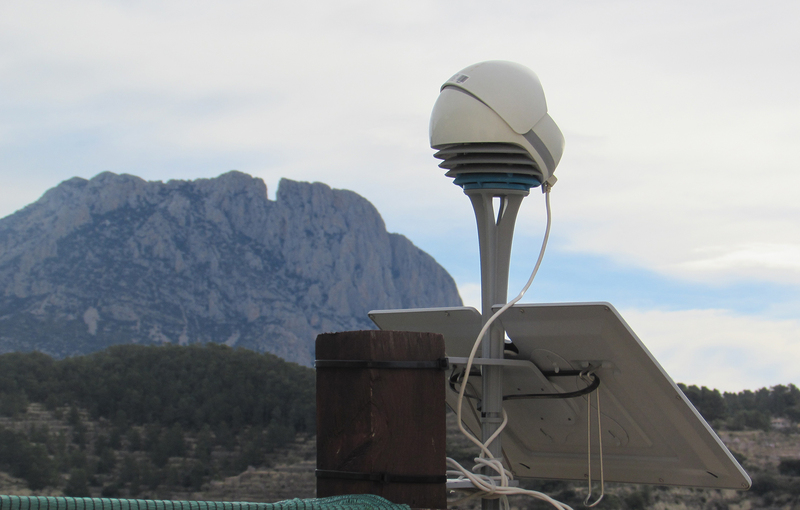 The Casaroc Webcam looks out from Casaroc terrace across the valley and includes images of the Puig Campana mountain. There’s complete data on the ” weather” menu option. ( temperature, wind, rain etc ) The timelapse starts when the sun rises and it ends when the sun sets. Simple! As of early Spring 2018 I’ve tried to choose the cover picture at more or less the same time every day – as close to 15:00 as the software allows. 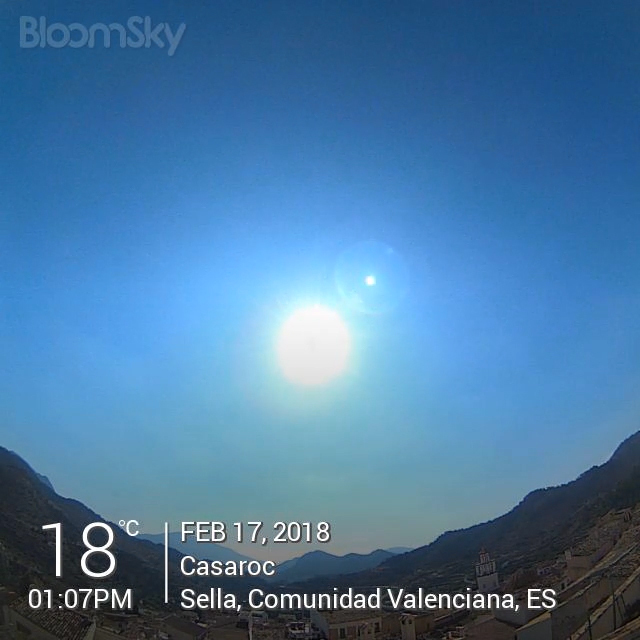 As well as the Bloomsky webcam, Casaroc has an Oregon Scientific weather station mounted on a nearby roof. That’s where the wind and rainfall and temperature data in the table comes from.